The United Arab Emirates (UAE) remains committed to its obligation under a 2009 agreement with Washington not to enrich or reprocess nuclear material, the country’s ambassador to the United States said on May 31. 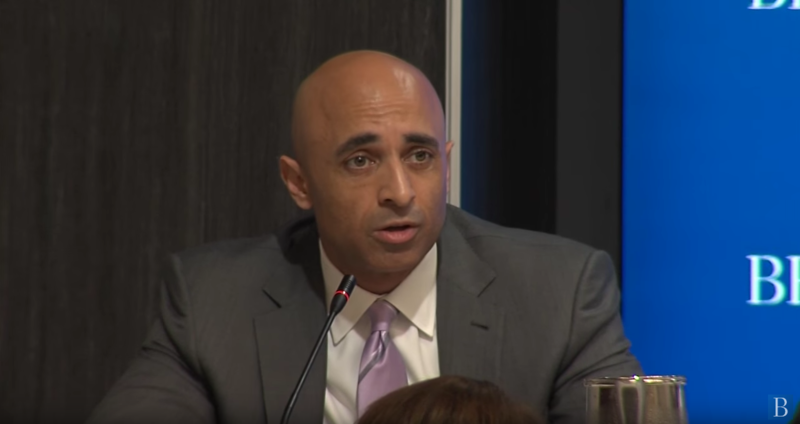 Despite reports to the contrary, “we are not planning to change our position,” said Ambassador Yousef Al Otaiba at an event at the Brookings Institution in Washington. The UAE’s support for refraining from enrichment and reprocessing was called into question last September, when Rep. Ed Royce (R-Calif.), the chairman of the House Foreign Affairs Committee, said at a congressional hearing that Al Otaiba told him the UAE “no longer felt bound by the agreement” in the aftermath of the July 2015 nuclear agreement with Iran. The 2015 accord permits Tehran to enrich uranium, although under significant constraints. In the UAE pact, known as a 123 agreement after the section of the U.S. Atomic Energy Act that makes such pacts a prerequisite for U.S. nuclear trade with other countries, Abu Dhabi’s pursuit of enrichment and reprocessing would be grounds for the United States to halt nuclear cooperation with the country, an unprecedented provision in U.S. cooperation agreements. A Department of State spokesman in 2010 referred to the pact as the “gold standard” of 123 agreements. Meanwhile, on May 26, Sens. Edward Markey (D-Mass.) and Marco Rubio (R-Fla.) introduced legislation to tighten regulations on U.S. nuclear exports to China and hold Beijing accountable for any violation of the 2015 U.S.-China 123 agreement. Reps. Brad Sherman (D-Calif.) and Jeff Fortenberry (R-Neb.) introduced a companion version of the bill, titled the China Nuclear Cooperation and Nonproliferation Act of 2016, in the House of Representatives. The draft bills would require U.S. authorization before China re-exports “U.S.-origin” nuclear technology to other countries and the energy secretary to issue a definition of items that fall into this category. In addition, the legislation would require the president to monitor China’s compliance with the 2015 agreement and determine if China fails to prevent the transfer of proliferation-sensitive items to countries of concern. If such violations are deemed to have occurred, the president must suspend cooperation with Beijing until a plan of action to address these behaviors is developed and implemented. The bills would also prohibit the provision of U.S. consent for Chinese reprocessing of U.S. spent nuclear fuel unless the president certifies that fissile material is adequately safeguarded and protected. “Without these safeguards, transferring nuclear technology to China will jeopardize both United States national security and the global nonproliferation regime,” he added.